Few Congress members have been so critical of President Donald Trump’s Russian ties as has the Connecticut delegation. Yet, Connecticut’s two Senators and five House members all have their own long standing ties to a pro-Moscow organizations, operating in their own state. In early May, the entire delegation issued statements on the President’s Russian connections. 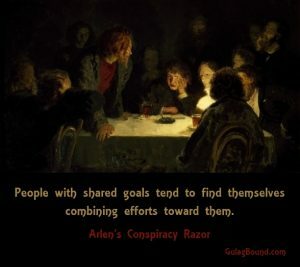 All seven Congress members listed above have direct ties to the pro-Moscow Connecticut Communist Party, through one or more of its three main front organizations: the Connecticut Alliance for Retired Americans, the New Haven Peace Council, or the New Haven Peoples Center. 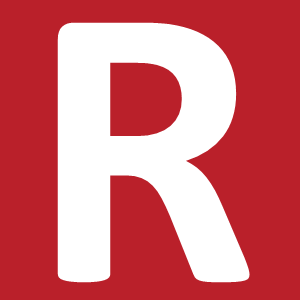 The Connecticut Communist Party has both huge influence on the Connecticut Democratic Party and extensive and ongoing ties to Moscow. 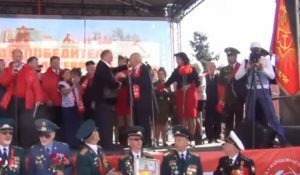 These Moscow connections survived the “collapse of communism” and endure to this day. Connecticut Communist Party leaders Art Perlo and Joelle Fishman are the son and daughter-in-law respectively of Roosevelt-era Soviet spy ring leader Victor Perlo. Today’s Russian connection comes mainly through the work of the New Haven Peace Council, which is the main US affiliate of the former Soviet Union’s most influential international front organization, the World Peace Council, which is now run largely by Greek and Cuban communists, but maintains close links to the Putin allied Communist Party of the Russian Federation. Two leading Connecticut Communist party supporters Al Marder and Henry Lowendorf are active in both the New Haven Peace Council and the World Peace Council. 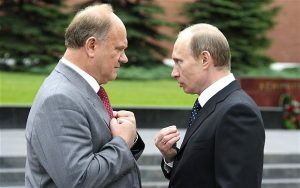 Those activities include a trip to Moscow in 2015, during which Marder addressed a Communist Party rally in downtown Moscow and got a comradely hug from Communist Party leader and Putin ally, Gennady Zyuganov. 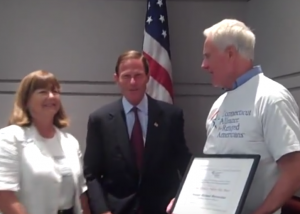 Senator Blumenthal has long-term connections to the Connecticut Alliance for Retired Americans, including to members Kevin Lynch, a Communist Party supporter and New Haven Peace Council activist, and to Communist Party member Win Heimer. In 1988, Jim Himes submitted his thesis to Harvard University: “The Sandinista Defense Committees and the Transformation of Political Culture in Nicaragua” which praised the civilian “secret police units” of the pro-Soviet Sandinista regime. 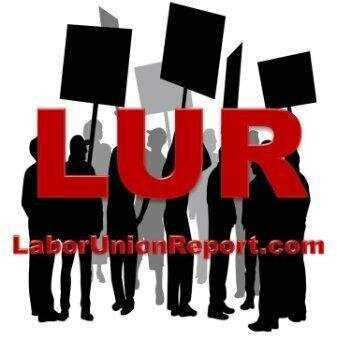 There was much to celebrate at the 89th anniversary of the “Communist Party USA” New Haven Connecticut Dec. 7. 2008. The party and its allies, unionists and friends joined together this year to work diligently to help elect our first African American president, Barack Obama. Folks pounded the pavement in Bridgeport, Conn., to defeat the last standing congressional Republican, Chris Shays. His replacement, newly elected Jim Himes, is vowing to take the people’s agenda forward. 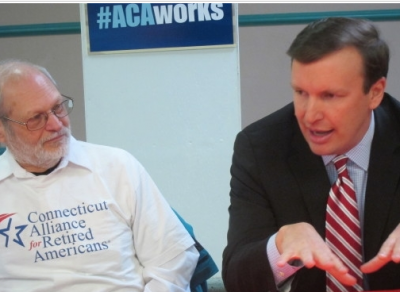 Rep. Himes is also a longtime friend of the Connecticut Alliance for Retired Americans, including Communist Party supporters Kevin Lynch and Cal Bunnell. 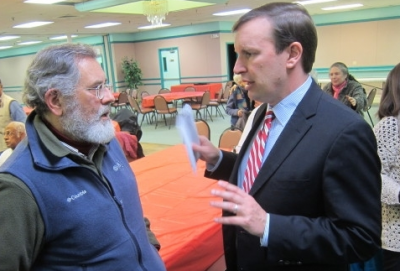 Senator Chris Murphy was close to Connecticut Opposes the War in the early 2000s, an organization partially led by Communist Party supporter Henry Lowendorf. 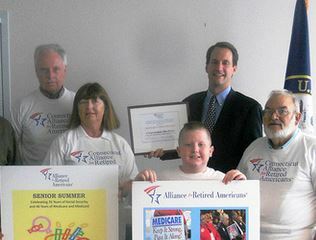 He is also very close to Connecticut Alliance for Retired Americans, including activists such as Lowendorf and Communist Party leaders Joelle Fishman and Win Heimer. Rep. Joe Courtney is also very close to Connecticut Alliance for Retired Americans, including links to Communist Party members Win Heimer, Joelle Fishman and Edie Fishman. 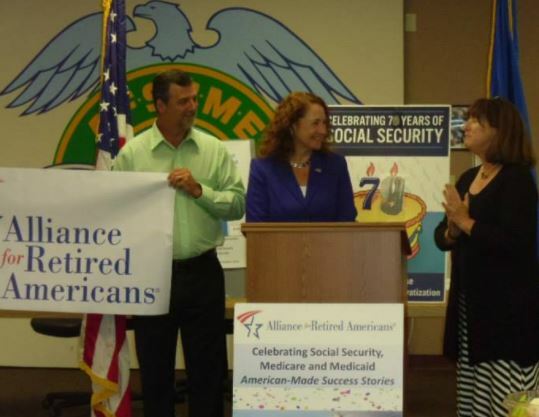 Rep. Elizabeth Esty is close to Connecticut Alliance for Retired Americans and was endorsed by the national Alliance for Retired Americans in 2012 and 2014. Rep. John B. Larson visited communist Cuba in May 2015, which included a meeting with Cuba’s Foreign Minister, Bruno Rodriguez Parrilla. 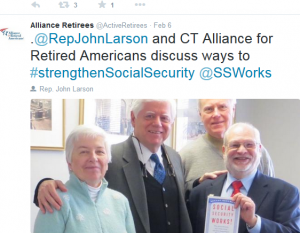 Larson has extensive ties to Connecticut Alliance for Retired Americans, including to Communist Party supporter Kevin Lynch and to Party member Win Heimer. Back in the 1980s, Rep. Rosa DeLauro led Countdown ‘87, which pushed to defund the US war against Nicaragua’s pro-Soviet government. 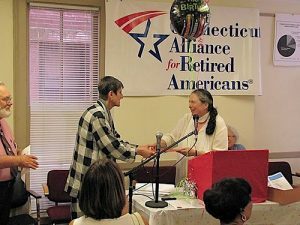 Rep. DeLauro keynoted at the August 2010 kickoff event for Social Security’s 75th birthday held at the Communist Party USA run New Haven People’s Center by the Connecticut Alliance for Retired Americans. The meeting was chaired by DeLauro’s longtime friend, Connecticut Communist Party Chair Joelle Fishman. 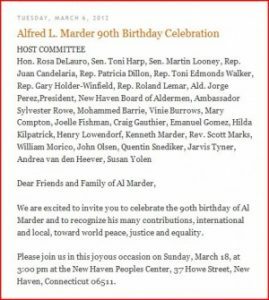 The March 2012 Host Committee, in honor of Connecticut Communist Party veteran Alf Marder‘s 90th Birthday Celebration, held at the New Haven People’s Center included Hon. Rosa DeLauro, several Democratic state reps, Communist Party members Joelle Fishman, Craig Gauthier, Jarvis Tyner and Party supporters Henry Lowendorf and the Rev. Scott Marks. Mr. Speaker, it is a pleasure for me to rise today to join the many friends, family, and community leaders who have gathered to celebrate the outstanding contributions of Alfred L. Marder as he celebrates his 90th birthday. Al is one of our community’s most active advocates—dedicating much of his life to fighting for social justice and the improvement of the quality of life for all. Rep. DeLauro visited communist Cuba in 2007, 2014 (when she met with Cuban Foreign Minister Bruno Rodriguez Parilla), 2015 and 2016. Rosa DeLauro is one of the House’s highest ranking Democrats. Rep. Jim Himes serves on the House Intelligence Committee. Rep. Joe Courtney serves on the House Armed Services Committee. Senator Murphy serves on the the Foreign Relations Committee. 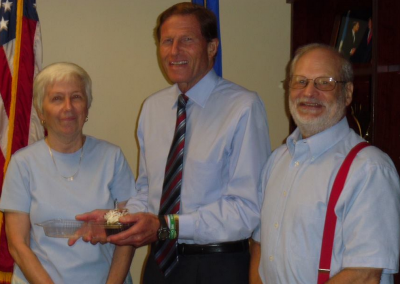 Senator Blumenthal serves on the Senate Judiciary Committee. 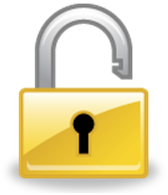 All are, to put it mildly, security risks. 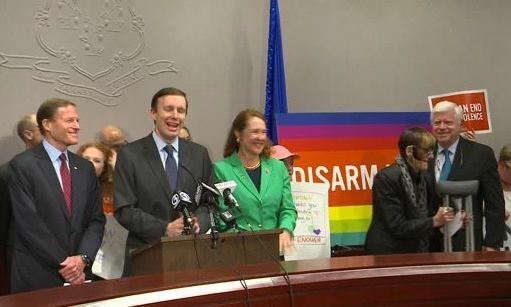 Every one of the Connecticut Congressional delegation would, if they were applying for low level federal jobs, struggle to pass an FBI background check. Fortunately for them, no security checks are required for Congress or Senate members. All of them are within two or three degrees of separation from Russia. President Trump needs to turn the tables. To call the left’s bluff. The Democrats have been in bed with Moscow for 50 years now. The “collapse of communism” only made it safer to connect with pro-Moscow groups. Let’s hope President Trump will call out America’s real Russian partisans, before they destroy his Presidency. The American voters deserve the truth.